ATCC Club - Amateur Tosno contest club Russia ATCC was founded 25.08.2008. ATCC invites everyone who loves ham radio, CW, dx, ssb, digi and contesting, to become a member. TARA's all Seasons Contests - Digital modes contest rules by TARA. Offers the All Seasons contest Tournament. A new concept in contesting. CQ World Wide Contest Log - Windows shareware contest log program for the CQ WW contest. Offer a Network version capable to run over a lan in order to allow several pc to update a single shared contest log file. 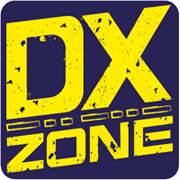 LY4A Daily Dx News - LY4A contest station ,hamradio ,contesting,DX News,DX Info. PA5MW Ham Radio Blog - Ham radio Blog, focusing on homebrewing and testing antennas, rig mods and contesting. GM3HAM Lothians Radio Society - Amateur Radio Club in Edinburgh. Founded in 1949 with twice monthly meetings and a range of activites including talks, DF hunts, vists and contesting. AARC Anne Arundel Amateur Radio Club - Public service, repeaters, elmer program, training and testing. Programs for kids, YLs, OMs, new hams and old. Contesting, kit building, fun and fellowship. Meetings on the first and third Thursday evenings. Master.dta Editor - Freeware windows program by VE3NEA that allow to view and edit the Master Callsign Database file used in many contesting programs, import and export callsigns, auto-download announced DX operations.